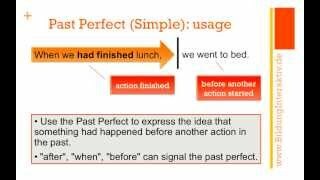 Vidéos proposées pour connaître le plus-que-parfait (past perfect) en anglais. 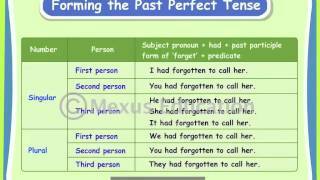 Verb Tenses: Past Perfect In English. 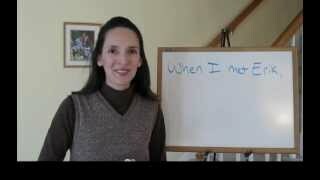 Plus-que-parfait En Anglais. 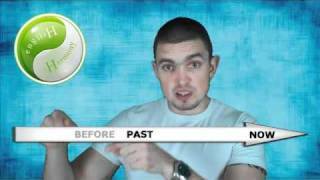 We'll explain to you how to form and when to use the Past Perfect, simple and progressive - in easy English. 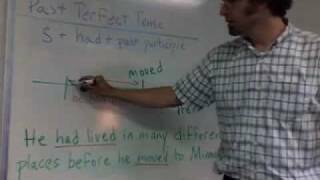 Past Perfect Tense - Examples In Songs! 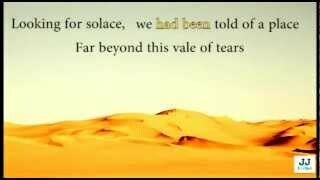 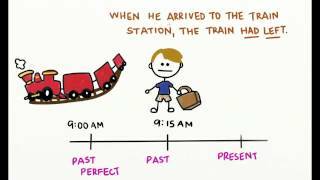 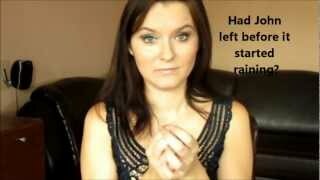 A short video explaining the "past perfect" tense. 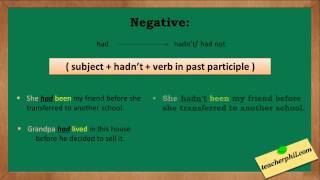 An English teacher shows how to make the past perfect tense: had + past participle. 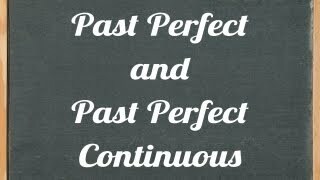 The past perfect shows that something happened before another past event.